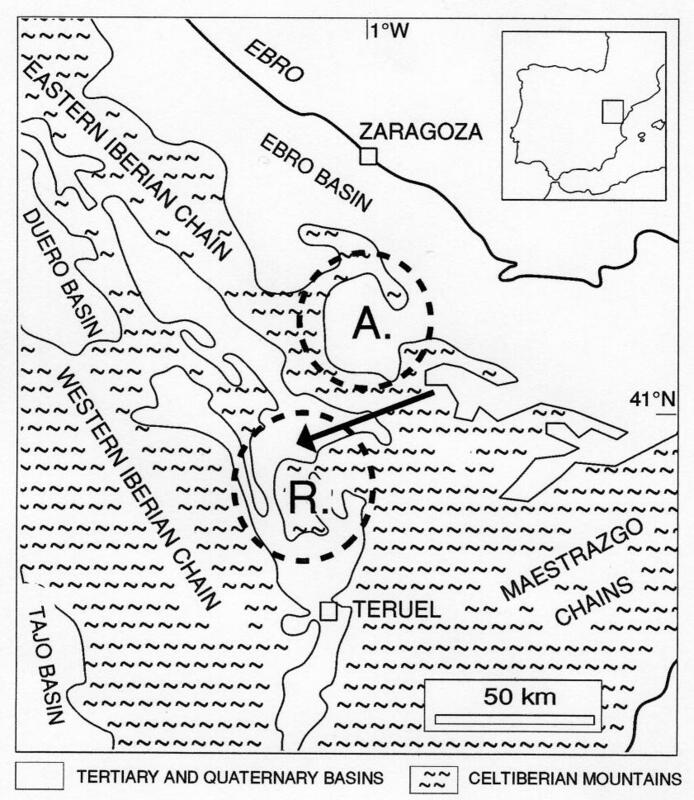 The Rubielos de la Cérida structure is located within the Iberian Chain of northeastern Spain, south of Zaragoza (Fig. 1). Neighbouring the well established Azuara impact structure and being of the same stratigraphic age, it is interpreted as one part of a doublet impact structure, caused by a paired projectile during the Lower to Mid-Tertiary [1, 2, 3]. 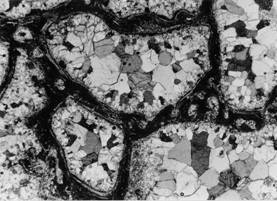 Intermixed in a polymict impact megabreccia, various kinds of melted rocks occur as blocks of variabe size in a decimeter to metre range. Porous and soft silicate melt rocks (Fig. 2a) are composed of more than 90% glass. This is typically shown by an amorphous “glass hump” occurring in x-ray powder diffraction pattern (Fig. 3). The glass consists of two different phases. The dominant one is a whitish glass which forms tiny spheroids and lens-shaped bodies in a size of around 0.5 mm (Fig. 4). The second phase is a translucent greyish glass interstitial within the white phase. 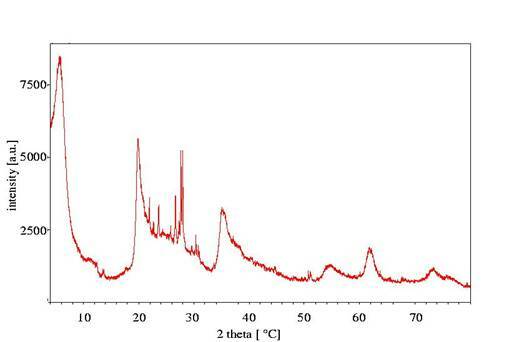 From microprobe analyses, both phases are rather similar and match the whole-rock RFA data of SiO2 around 58 wt.%, variable Al2O3 up to 21%, MgO 5-6%, CaO 1.5%, variable Na2O+K2O around 2%, LOI around 10%. This roughy fits the average composition of shales  which are assumed to be the pre-impact educt rocks. A very special kind of former melt was found near the village of Barrachina within the Rubielos de la Cérida crater and consists of amoeba-like carbonate particles, embedded within a glassy matrix (Figs. 2c and 5a). 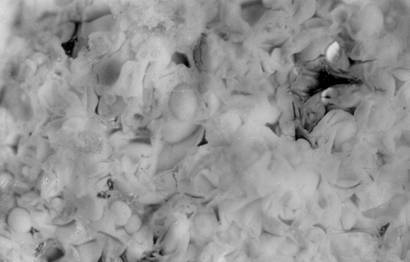 The carbonate bodies are coarse-grained in their centres, with decreasing grain size and perpendicular orientation towards the rims. From microprobe investigations, the carbonate is pure calcite. The isotropic glassy matrix consists of nearly pure Ca-phosphate which locally may contain some additional Si. This matrix is pervaded by lots of tiny microcrystals which are identified by x-ray diffraction analysis to be apatite and which are interpreted as a result of recrystallization from the glass. The diffraction peaks of this apatite are much wider compared to those of a well crystallized one, indicating its very unperfect crystal structure (Fig. 6). Fig. 5: Carbonate-phosphate (a) and carbonate-silicate (b) liquid immiscibility, as shown in samples from the Rubielos de la Cérida crater (a) and from the Ries crater (b, from ). Fields are 6 and 5 mm wide. 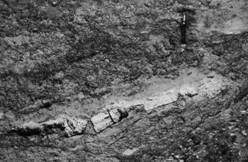 A similar melt rock has been reported for the suevite of the Ries crater (Fig. 5b). In the suevite, the calcite particles have identical structure and composition compared with the melt rocks of Barrachina (Fig. 5) and are interpreted by Graup as quench products of a carbonate melt . Different from the Barrachina melt rocks, the matrix in the Ries samples is silicate glass as a result of carbonate-silicate liquid immiscibility . 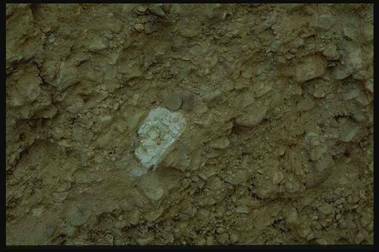 In our case, the melt rock displays a small-scaled immiscibility of coexisting former carbonate melt and phosphate melt. Beside these mixed melt rocks, fragments of pure former Ca-phosphate melt with glassy parts and unperfectly recrystallized apatite, but without carbonate were also found (Fig. 2b). The composition of the various melt rocks displays the composition of the pre-impact stratigraphy of the target region which is strongly dominated by Devonian, Triassic, Jurassic, Cretaceous and Lower Tertiary carbonates, with interlayers of shales. Phosphate-rich material can be deduced e.g. 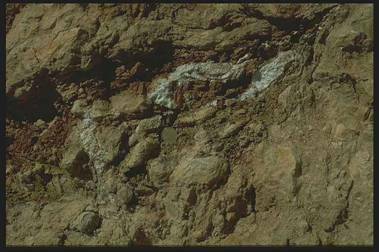 from coprolite layers well known within sediments of the regional Lower Tertiary. Furtheron, recrystallized baryte which is partly enriched in the melt rocks may reflect the Baryte-veins, cross-cutting mainly the Paleozoic of the the target region. References: –  Ernstson, K. et al., 1985, Earth Planet. Sci. Lett., 74, 361-370. Ernstson, K. & Fiebag, J., 1992, Geol. Rundschau, 81, 403-427. Ernstson, K. et al., this volume. Wedepohl, K.H. (ed. 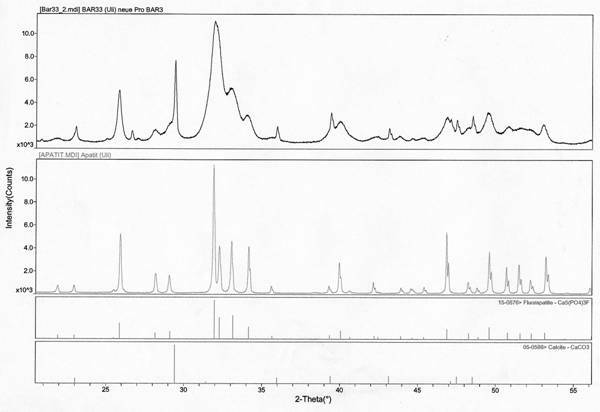 ), 1969, Handbook of Geochemistry, Springer. 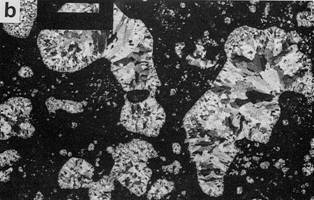 Graup, G., 1999, Meteoritics Planet. Sci, 34, 425-438.